If you’re worried about cracks or other damage to your siding, you’ve come to the right place. The contractors at Guaranteed Roofing are experienced in making siding repairs to keep your home looking as good as new! We understand the right techniques for the materials involved, and we’ll be sure to complete the project efficiently and effectively. To schedule a free estimate for siding repair or installation, call us at 1-844-676-7406 or contact us online! We serve residents throughout Greater Cincinnati and areas nearby. Guaranteed Roofing understands how to repair existing problems and how to prevent them from occurring again whenever possible. We can renail siding and utilize other techniques like caulking, sealing, and painting to resist mold and moisture and stop exposure damage from plaguing your home’s frame. 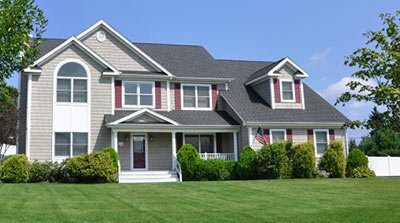 The talented contractors at Guaranteed Roofing will replace sections of siding while still maintaining the overall look of your home. No matter what siding material your home uses, we will make sure to install replacement sections with attention to detail to provide a like-new appearance. All homeowners should feel proud looking at their homes when they leave in the morning or come back at night. If damaged siding is negatively affecting your home’s aesthetic appeal or its safety, Guaranteed Roofing has the right materials and the experienced technicians you need. Call us at 1-844-676-7406 or contact us online to schedule a free estimate for siding repair! We offer our services to customers in Mason, West Chester, Lebanon, Hamilton, Blanchester, Fairfield, Middletown, Dayton, Maineville, Cincinnati, and areas nearby.